Despite its size and success, Activision knows there's always more to learn, says chief operations officer Thomas Tippl. You'd be forgiven for assuming that Activision executives think they know it all, especially considering that the publisher is pretty much the biggest outfit around. But according to Tippl, ego has no place in the Activision boardroom, and the company is constantly looking for ways to improve its practices. 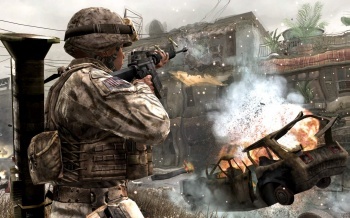 Speaking at an event in New York City, Tippl said that Activision never assumed it was the best at everything, and made a habit of looking at other companies - not just Activision's competitors, but other media companies as well - to try and pick up ideas on how to make Activision more effective. He didn't cite specific companies that Activision had looked at, but said that it looked at companies all over the world, including countries like China and Korea. Activision didn't just poach other companies' ideas though, he said, as there was plenty of drive internally for development, marketing, and retail teams to hit new targets and break new ground. It's worth mentioning that as Activision's COO, Tippl's focus is the day-to-day operation of Activision, so the techniques and practices he's referring to probably don't extend to the creative side of the business. He's not saying that Activision gets its game ideas from other companies, just that if EA has a particularly good training policy, for example, or Time Warner has structured its accounting department in a particularly efficient way, Activision has no qualms about taking those ideas and using them itself.